Leo Anderson was in the middle of a baseball game when he threw a ball he had just caught, heard a crunch in his elbow and fell to the ground. That sound was a growth plate in his elbow breaking, and it ended the now-15-year-old's season last spring. Doctors said the break was caused by overuse, and the Highland Park, Ill., teenager had surgery to place a pin in his elbow to stabilize it. Anderson, a catcher who had been trying out pitching, wore a cast for 12 weeks before his comeback this fall, playing for the Slammers club team in Lake County. The freshman at Lake Forest High School also had physical therapy until November and says he hopes to play for his high school team in the upcoming spring season, in addition to his other team. But his father, Bill Anderson, said he now closely monitors his son's play, and that the injury was a warning. Leo, like many youth athletes, plays baseball 10 months out of the year. 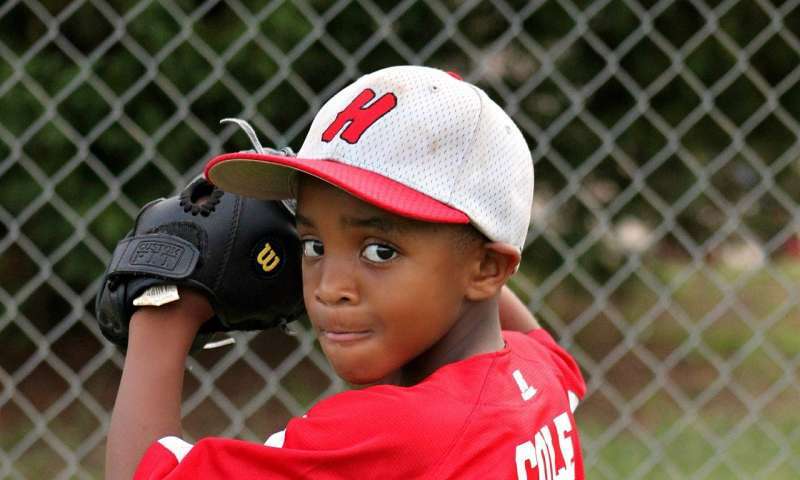 "Quite honestly, it just didn't occur to me that he was overusing his arm"
Doctors say overuse injuries in youth sports have increased significantly n the past decade. They blame it on kids focusing on one sport early on and playing it year-round, sometimes on multiple teams at once. "Sports specialization has led to almost an epidemic in sports injuries," said Dr. Elizabeth Matzkin, surgical director of women's musculoskeletal health at Brigham and Women's Hospital in Boston and assistant professor of orthopedic surgery at Harvard Medical School. "Kids are fatigued, and they're not strengthening the way they should be." Matzkin said that, in the past decade, she's seen overuse injuries in young athletes that she used to see mainly in adults. "Over the past 10 years, you'd maybe see the occasional high school ACL tear. Now you're seeing it in 12-, 13-year-olds," she said. With such injuries at 13, "are you going to have arthritis when you're 30?" While doctors and physical therapists say they can treat the injuries, some worry what will happen as these young athletes grow up—when old injuries could turn into chronic problems. "We can get you back playing your sport ... but what we can't do is prevent your arthritis in your knee," Matzkin said. Then "you're seeing young women in their 30s who can't keep up with their kids in the backyard." Doctors say it's largely up to parents and coaches to try to prevent these injuries through cross-training and rest. But that message can be hard to follow in the increasingly competitive field of youth sports, in which more parents seem to have their sights set on college scholarships and even professional play for their kids, said Dr. Andrea Kramer, a pediatric orthopedic surgeon at the Illinois Bone and Joint Institute. Kramer, who treated Leo Anderson, said she's seen more overuse injuries in recent years, and at younger ages. "I'm seeing kids from 7 on up for overuse injuries," she said. The injuries come in the forms of sprains, breaks, stress fractures and other problems that cause "much more increased pain at a much younger age" than she used to see, and span many sports. Kramer said children are at risk for these injuries because they are still growing and growth plates are shifting. She said she advises these young athletes and their parents to try more variety in sports or cross-conditioning, and stresses the importance of rest. Societal pressures seem to play into the desire for high achievement in sports, often leading to overplay, Kramer said. "If we could convince people to not specialize in one sport at a young age, it would help a lot," she said. For Leo Anderson's arm injury, the tipping point seemed to be when Leo, a catcher since childhood, started to try out pitching with private lessons, plus his regular team practices, which begin in October and last through July. His dad said rainouts last spring caused more back-to-back games, which he thinks also contributed to his son's overthrowing. "Looking back it was pretty obvious," Bill Anderson said. "As a parent, I'm (now) much more hypersensitive to Leo having a sore arm." Anderson said he, along with Leo's coaches, doctor and physical therapist, is monitoring Leo's play to make sure the injury is healed and to prevent another overuse injury. Ed Tolzien, co-owner of the Slammers, said he and his staff "strongly encourage our kids to cross-train and play multiple sports" to prevent overuse injuries. About 70 to 75 percent play a sport other than baseball, he said. Many baseball leagues and the Illinois High School Association limit the number of pitches players can throw in a game and a season to prevent injuries. Tolzien said his youth players abide by such guidelines, and though there aren't official limits on high school-level club teams, his coaches keep a close eye on players, who are also given strength and conditioning exercises. The team also partners with Illinois Bone and Joint to make sure players get proper treatment and to learn more about injury prevention, he said. Matzkin, who is on American Academy of Orthopaedic Surgeons board of directors, said education of coaches and parents is necessary to prevent overuse injuries in kids. The academy teamed up with the American Orthopaedic Society for Sports Medicine this year to begin OneSport Injury campaign, which focuses on just that. The slogan is: "Doctors can treat them. Parents and coaches can prevent them." The campaign offers materials geared toward coaches, parents and young athletes, providing prevention tips, statistics on injuries and guidelines for specific sports. "Sports are beneficial, but playing the same sport more than eight months out of the year can be detrimental," Matzkin said.